This pant is made from very soft material. Easy to put on baby ..easy to carried. 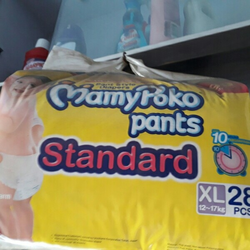 It is very light weight ..
We are offering Extra Absorb Mamypoko Pants.